It's a pretty exciting time of the year for us at Eddie's Bikes right now. New 2016 Jamis models are rolling in, and we've got more than a few hot bikes on the sales floor right now, ready for test rides! This is a big year for Jamis; they've released a lot of super cool and exciting bikes this year. 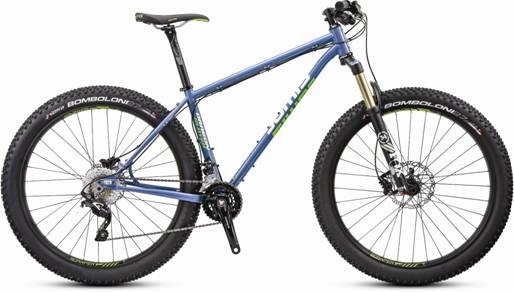 First up is their eagerly anticipated 26" fat bike, the Roughneck, and at only $1699, it's bound to attract some attention. 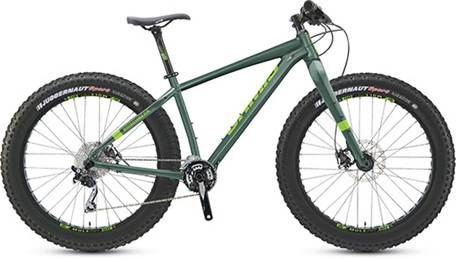 Then, there's the 'sort of fat bike,' the 650B plus-sized Dragonslayer, adventure mountain bike steel hardtail which is bound to be a quiver-killer. The Dragonslayer is easily one the most sought after bikes of the entire 2016 Jamis line-up. It's 650 plus tires are faster than a fat bike, but still have enough volume to roll smoothly over nearly any terrain. Then, there's the Defcon series, Jamis's interpretation of a do-anything and do-everything enduro rig, that climbs nearly as well as it descends. We just got Defcon 3's in stock, and they look way better in person than we thought they did in the catalog! 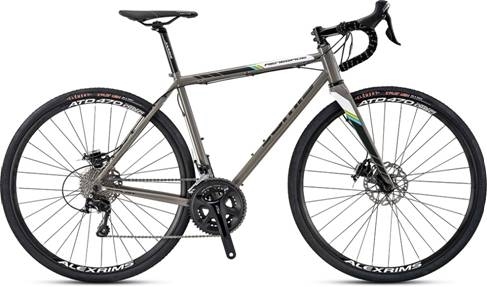 On the road side of things, the new steel adventure road bikes are available now; the Renegade Expat and the Exploit. 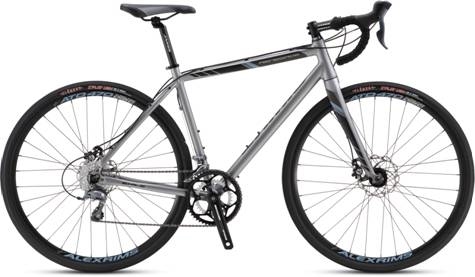 The two full carbon models ( Elite and Expert ) have done really well for Jamis last year, and the reviews have been stellar, so Jamis expanded the category to include the two steel models, and one more aluminum entry-level model, the Exile ( which replaced the very popular Nova Sport. ) Exiles are not in stock yet, but will be very soon. But, the Expat is in stock and is ready for test riding, and for just $1199, it is a whole lot of bike! Renegade Elite - Jamis' top of the line adventure road bike, full carbon frame and fork. Roughneck - 26" Fat Bike - perfect for snow, sand, or riding wherever you want - no need for trails anymore. 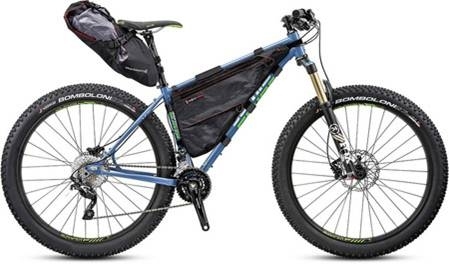 Dragonslayer - 650 Plus - perfect for mountain biking or adventure mountain biking, load it up and have an adventure. Dragonslayer ( adventure mode ) - this image gives you an idea of what the bike might look like if you set it up for a bikepacking trip. 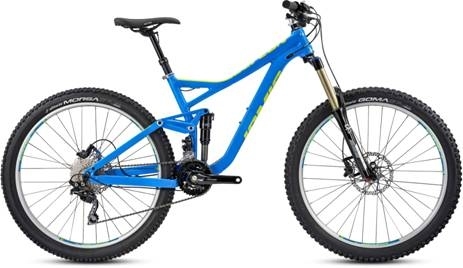 Defcon 3 - 160mm Enduro - the Defcon is a no holds barred approach to aggressive trail riding. Park-riding, enduro, trail, all-mountain- the Defcon has you covered. If you like to do it all, FAST, then this is your bike.